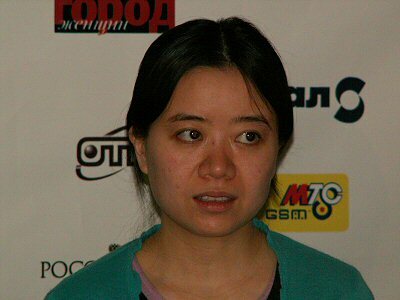 The Chinese Xu Yuhua is a new Women’s World Chess Champion. In the final fight for the Champion’s Crown she managed to win Russian Alisa Galliamova with 2,5:0,5. It was enough to win two games and end one in a draw to become the Champion. In the final game the Russian had all the chances to draw. She managed to pass the opening with one pawn up and had good perspectives of winning. But being probably tired she failed to display her best abilities. Galliamova lost the sense of the game and as a consequence the initiative. The Chinese brilliantly took the benefit from this possibility and at move 59 defeated Galliamova stopped the clock. At this very moment the Chief Arbiter Andrzei Fillipowicz claimed Xu Yuhua to be the Champion.